Hiiii, friends! I know it’s been a couple of weeks since I last posted, but things have been so crazy! If you watch TV at all, you’ve seen the news coverage of Hurricane Harvey and the damage that has been (and is still being) caused. I don’t live in the areas that were hit the hardest, like Rockport and Houston, but we did get a lot of wind and rain last weekend. It rained for 3 days straight, and the wind – we live on a hill – was insane. We were so, so fortunate not to experience any flooding or wind damage like so many others did. All we can do is donate items to those in need and pray for them and those who are able to give their time to help with the clean-up and rebuilding. Because there is so, so much to be done. And now there is another hurricane in the Gulf, that hopefully will steer clear of the Texas coastline. While we were fortunate not to have any damage, the weather was too bad to have Natalie’s birthday party. We didn’t want people driving in the weather and it was outside so…no go. It was definitely disappointing since I had taken off work all week to shop and prep for the party, only to have to cancel it the day before, but given the situation that was a small “sacrifice” to make. Instead I made her a little cake and we just hung out at home. Big girl even started trying to stand up without holding on to anything. And she would clap (because we make a big deal of Yaaaaay! and clap when she accomplishes a new feat) even if she didn’t quite make it all the way up. It was the cutest. What’s also the cutest, are these sliders. Because, miniature versions of any food are the cutest. You may remember earlier in the summer I posted these tacos, and the honey mustard slaw was so stinkin’ good, I just had to have it again. And what better way than on sliders?!?! 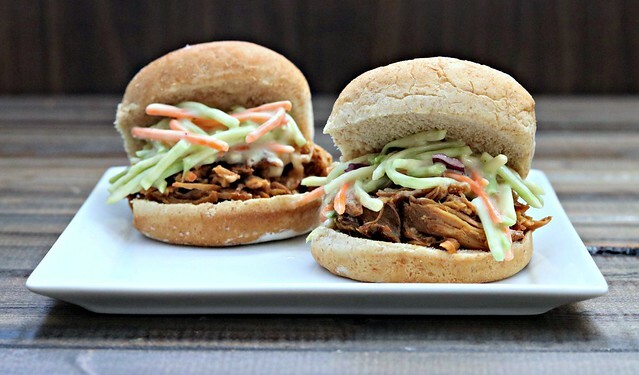 Because pulled pork sliders are amazing anyway, but with that slaw, y’all…they are life. And football season is upon us, which means all kinds of yummy game day food, and what better game day food could there be than sliders?? 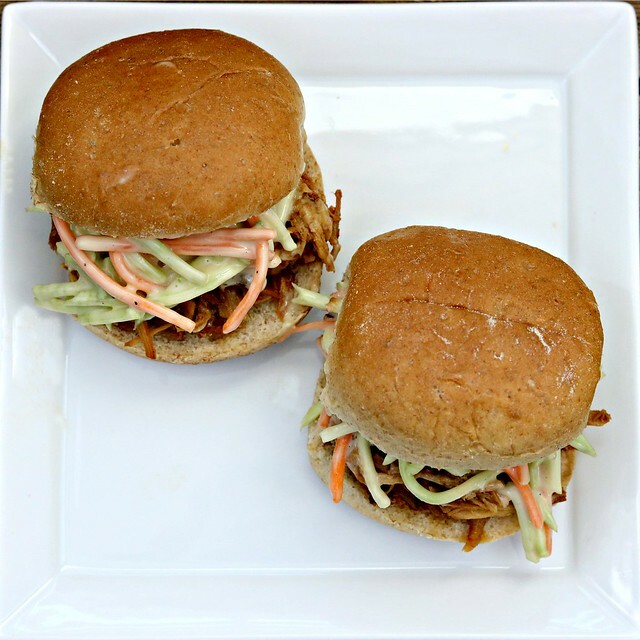 So, don’t miss out on these slow cooker bbq pulled pork sliders with honey mustard slaw. Your friends will thank you. They may even forget that you are rooting for the opposing team. At least while they are eating sliders.